This drawing goes back to the roots of your visual flaneur. 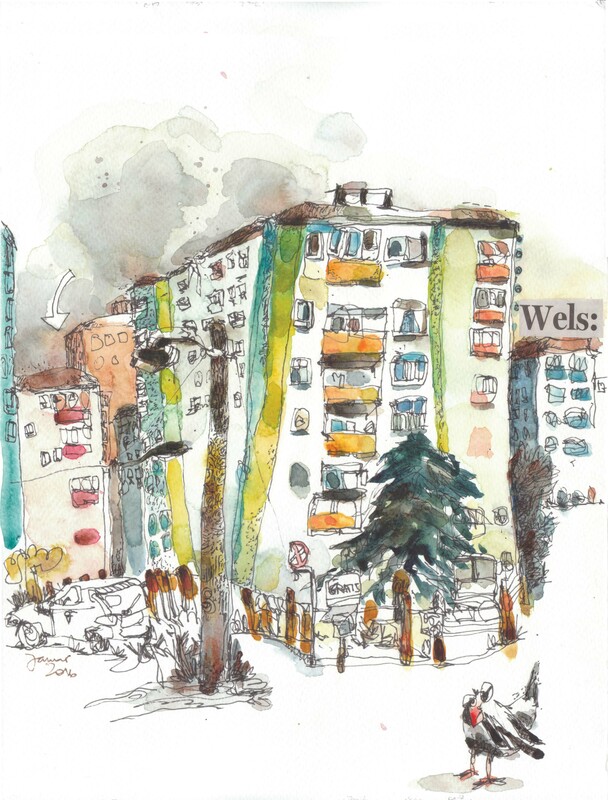 I spent my happy childhood in an apartment complex (market by the arrow) in Wels, a mid sized town in Austria. I still always love coming back to visit friends and family. This watercolor is for all of you in the area.